The Victorian public, not the construction company building the East West Link, will suffer irreparable loss and damage if the project goes ahead now, the High Court has heard. Ron Merkel QC, for Brunswick resident Anthony Murphy, says the Victorian public would lose hundreds of millions of dollars if the project proceeds. Mr Murphy wants the court to issue a temporary injunction, blocking the government from signing a contract for the construction of the $8 billion roadway until October 17. Mr Merkel said on Monday he was handed an affidavit moments before the High Court hearing saying the contracts were ready to be signed. 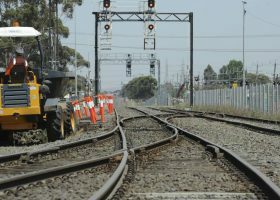 If the project proceeded it would cost Victorian taxpayers 20 cents of every dollar invested, he said. “If this contract is signed it’s committing Victoria to hundreds and hundreds of millions of dollars of loss on its own economic modelling, by its own standards,” Mr Merkel said. In a related case last week, the government argued it potentially faced a 100 million euros ($A150 million) foreign exchange loss if the project is delayed. It also claimed it faced a potential $A130 million loss if interest rates went up by one per cent. But Mr Merkel told High Court Justice Susan Crennan those potential losses would not be a factor before October 17, when a related matter goes to the High Court. He asked to view the contract to confirm reports of a $500 million kill fee to be paid to the builders if the project was cancelled. The Court of Appeal on Monday granted Mr Murphy a retrial in his battle against the project but refused to grant an injunction to stop the contracts being signed, given he was seeking an injunction in the High Court. Victorian Attorney-General Robert Clark said the government would proceed with plans to sign the contracts before the November 29 state election, unless the High Court granted the injunction. “The government intends to get on with doing the job that we committed to do,” he said. He said a procedural issue had caused the retrial but the Court of Appeal again ruled that no injunction should be granted. “The Court of Appeal has made clear now, on two occasions, that it sees nothing in Mr Murphy’s legal arguments that would justify restraining the East West Link project contracts from being signed up,” Mr Clark told reporters. 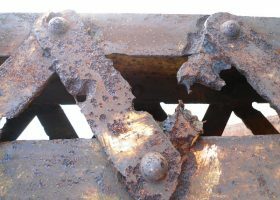 Mr Murphy had his case against the $8 billion roadway rejected in the Victorian Supreme Court, but the Court of Appeal set aside that decision and ordered a retrial after finding he was denied procedural fairness. Mr Murphy said he will be seeking the government’s business case on the project. “We were denied procedural fairness in the lower court, principally because we were denied discovery,” he said outside court. “As part of the discovery process in the retrial we’ll be demanding to see the business case because for too long the government has kept that secret. Mr Murphy is arguing the claimed benefits of the East West Link, which would link the Eastern Freeway to the western suburbs, are based on deceptive and misleading figures. Anyone who pretends Melbourne can accommodate massive population growth with only one road corridor from east to west is kidding themselves. We know we need this, so let's just get on with building the damn thing.